A personal A-Z, inspired by a post on The Cornish Maid. I am autistic myself, and also branch secretary of NAS West Norfolk. 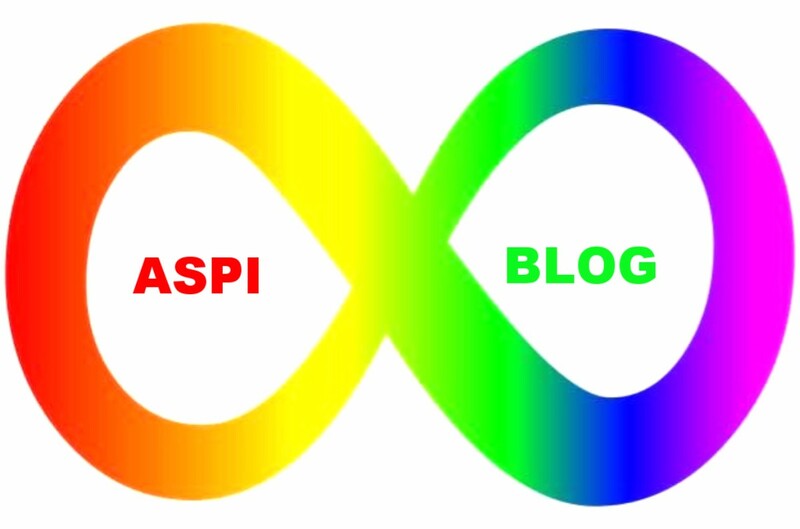 This entry is a very appropriate starting point because it was my diagnosis and the role I then had running a support group for Asperger East Anglia that led me to create this blog. I have always loved books, and am a very voracious reader. In addition to my own collection I am a regular user of several of Norfolk’s libraries, and yes I do use them to borrow books. This is an extension of my love of books as a whole. I regularly borrow large quantities of detective ficition from thbe libraries. Among my very favourites are Edward Marston’s Railway Detective stories. The village in West Norfolk where I began to rebuild my life after mental health issues had nearly destroyed me. I lived there for just over five years and was a regular visitor until my parents recently moved to Cornwall. I have travelled on many ferries in my lifetime, but the one I particularly think of nowadays is the Lynn Ferry which has been running for over 800 years. I first visited Greece for a family holiday about 35 years ago and have been back mnay times. It remains a favourite holiday location. I have produced a number of posts about my most recent visit. One of the many subjects I enjoy reading about. One of the reasons I enjoy going to Greece so much is the presence of so many historic sites. I have been a staunch atheist for my entire adult life. For those who take the approach that the Northern Ireland census form used to I am a “catholic atheist” – that being the specific religion that I rejected. To paraphrase Richard Dawkins most people are as atheist as me about almost every god who has ever been believed in – I just go one god further than they do. I love travelling, and being a lifelong non-driver am able to make good use of almost all my journeys – if the route is not familiar to me I will be observing the scenery and taking photographs, and if it is it represents reading time. I grew up in London, and still visit the place on occasion. Also, I run a London Transport themed website, www.londontu.be. I will be back in London during the latter part of next week, for Marxism 2018 which runs from Thursday to Sunday. Nature has always been very important to me, and I love being out and about in nature with my camera for company. My name is often to be found among those supporting campaigns to protect nature, and as a thoroughgoing internationalist I take pride in having been the first non-Swede to sign the online petition to save Trosa nature. A spectacular creature, presumably some form of dragonfly. Because of their shape many cricket grounds have Oval in their name. The two with which I am most familiar are The Oval, in South London not very far from where I grew up, and served by two stations, Oval and Vauxhall; and the Adelaide Oval, which owes its name to a transplanted Surreyite who suggested it because he wanted to be reminded of home. Of the innings I have seen live at the ground the most memorable at either of these two venues was played by David Gower in 1990. England could do no better than draw the game, which as it happened was enough to give them the series. Gower made 157 in that innings, and by the time he was out the draw had long since been secured. This was lot 840 at yesterday’s auction – some good tools but the box being solid iron makes for an extremely heavy item. Lot 2188 in Saturday’s upcoming auction. With my eclectic interests and retentive memory I am pretty good at quizzes (unless they are overloaded with questions about pop music), and generally enjoy taking part. Railways are one of my special interests. I have travelled on railways in many different countries and have also built up a decent collection of railwayana. I may add to my collection on Saturday. This river is in Northern Sweden. Yes – another cricket related entry. T20 (where each side bats for 20 overs) has been a great success since its introductiuon in 2003. However the new 100-balls per side competition is being too clever by half (and consigning the County Championship to the start and end of the season when conditions are least suitable for long form cricket). I find it fascination reading theories about our universe, its possible origins and its possible place in a wider cosmos. I also find the history of how we moved from considering our planet to be at the centre of a fixed universe to recognising it as pale blue dot (hat tip to Carl Sagan who wrote a book of that title) in the immensity of the cosmos to be fascinating. One of the things I enjoy about my current job is that there is plenty of variety there. I am firmly in the camp of those who say that variety is the spice of life. Jerry Coyne’s 2009 book with that title remains a firm favourite (along with his more recent Faith versus Fact), and it is also the title of a blog run by Professor Coyne that I follow. As I near the end of this post I exhort you to produce your own version – it is time consuming but fun. You have seen my version, and if you followed the opening link you have seen the version that inspired me to take on this challenge – now go and do likewise! This is a bit of a cheat – it is my way of mentioning the game of Bridge which is a firm favourite of mine. A yarborough is a hand with no card higher than a nine and 4-3-3-3 distribution, and is named in honour of Lord Yarborough who had all bridge players at his house contribute a guinea to a kitty, while if someone had the misfortune to be dealt the hand that now bears his name they got 1,000 guineas (he was on to a winner – the actual odds against the hand coming up are 1827 to 1). I do not get to play very often but I am a pretty good player of the game. A zoom lens can be a real boon for a photographer (my current camera has a zoom capacity of up to 60X) – a little tip from experience is to not stretch the zoom lens right to its limits – leave a bit of space around whatever you are photographing (you can always crop it out during the editing process). This post was inspired by a Cornish blogger, so I end with a Cornish picture. The first in a series of posts about #Autisticspecialinterests that will be appearing here during May. Here as promised is the first of a series of posts I shall be doing about my special interests. I am starting with public transport, and in this post I shall be referring to events that took place long before I was diagnosed as autistic. I was a patient in a child psychiatric unit at Great Ormond Street Hospital for over a year in the early 1980s. The trigger for the illness that put me there appears to have been a bout of chickenpox. For the first half of my time there I was an in-patient, at the hospital 24/7, and then when they deemed it safe for me to sent home at nights I was a day patient. Although I cannot remember a time when trains did not interest me, it was during this period that I would say that my special interest in public transport was formed. Tooting Bec was our local station, just about a mile from our house, while Russell Square is the station for Great Ormond Street Hospital. My father would take me there in the mornings and pick me up in the afternoons, using London Underground. We took some very bizarre routes, as my fascination grew, which sometimes led to my father getting awkward questions from ticket inspectors (yes folks, in those days London Underground had on-train ticket inspectors). In later years I was able to explore on my own, and when I was in my early teens the child rate for a one-day travelcard was only 90p, so I would often go out on a Saturday and explore London transport in detail (I used various local railway lines as well as the Underground, though in those days I did not make much use of buses). It was also in this period that I discovered the London Transport Museum at Covent Garden. A big moment for me was the opening of The Docklands Light Railway (I travelled on it on its first day of operation way back in 1987, and it was a huge buzz to be there at the start of a new development in public transport). In particular I first developed the method of visiting Greenwich described in this post on www.londontu.be as a teenager, and since the DLR was then pretty much brand spanking new I claim to be the pioneer of that method. Like most who have been regular users of it I came to despise the Northern Line, and later in my teenage years it was a thing with me to make my excursions without using the Northern line (this meant starting and finishing at one of various railway stations which were walkable from home – Tooting, Streatham Common, Streatham, or Streatham Hill). A frequent finish to my excursions was to take the Hammersmith & City line to Hammersmith, get an eastbound District line train to Earl’s Court and then cross the platform to get a Wimbledon train, finally changing to railway train to Tooting. At the same time as I was exploring public transport in London to the full I was also learning more about its history and development. Very late in my teens I became a regular commuter, because after finishing at my local comprehensive I decided to resit my Chemistry ‘A’ Level and do the first year of Maths and Physics ‘A’ Levels at Richmond Upon Thames College of Further Education, whose local station was Twickenham, two stops west of Richmond. I had two regular routes there, either travelling in my mother’s car as far as Baron’s Court (the nearest station to the school she was teaching at in that period), District to Richmond, train to Twickenham, or from home, walk to Balham (about a half-hour walk, perfectly manageable for an 18 year old), get a train to Clapham Junction and change for another train to Twickenham. The fastest trains over the Clapham Junction – Twickenham section were those going to Reading, which did it non-stop. Those trains were also the only ones that still had manually opened and closed doors (two choices folks, either slam the thing, making a monstrous crash, which most people did, or learn, as I did, how the catches worked so that one could shut the door quietly). The Stapleton Road sufrface building agt Tooting Bec, which was the one I used to enter and exit by. Both of Tooting Bec;s surface buildings (from 1926-50 the station was called Trinity Road). Introducing the concept of National Park Cities, publicising a thunderclap about the same and displaying some of my own photographs. To take part in a Thunderclap you have to be on at least one of facebook, twitter or tumblr, so for the benefit of those among my readers who cannot take part I am also including some recent photos of my own that tie in well with this particular thunderclap. Here are some of my recent nature pictures, which also feature the two main parks in King’s Lynn, The Walks and Lynnsport Park and sections of Bawsey Drain and The Gaywood River. Some thoughts on shared space streets and Exhibition Road in particular. WHAT IS A SHARED SPACE ROAD? CAN SHARED SPACE ROADS WORK? Clear signage explaining what a shared space road is and what that means. A very low speed limit for motor vehicles (even lower than the 20mph which is now commonplace in the vicinity of schools) fiercely enforced – speeding on a shared space street should be punished more severely than speeding elsewhere because of the greater risk of hitting someone. Referring back to my first bullet point it needs to made clear that motorists are always expected to give way to cyclists and pedestrians. SHOULD EXHIBITION ROAD BE A SHARED SPACE ROAD? Absolutely not – it should be completely pedestrianised. There are excellent public transport connections in this part of the world. Author ThomasPosted on October 27, 2017 October 27, 2017 Categories Nature Photography, Photography, Public TransportTags Exhibition Road, Gaywood, Gaywood Clock, Gaywood sign, London, Maps, Photography, Public Transport, Shared Space Roads, Squirrel, Transport For All, TweetsLeave a comment on Shared Space Roads ? Setting the scene for a series of posts about Marxism 2017. In approximately two hours I will be off to catch a train to London for Marxism 2017, four days of political meetings. Given the location I will have regular wi-fi access and will blog regularly about the event. Most of the rest of this post will be taken up with pictures of my timetable, but before I put them up a note – I have ticked the meetings that I definitely intend to go to, and put question marks against those I am considering (if for example there are two in one slot that appeal and I have not yet made a final decision). In my previous post here I indicated that there would be a number of new posts appearing on my London Transport themed website. I now provide links to them.